Description: Me&My Big Ideas Create 365 is a system that combines your love for creativity with your need for organization. 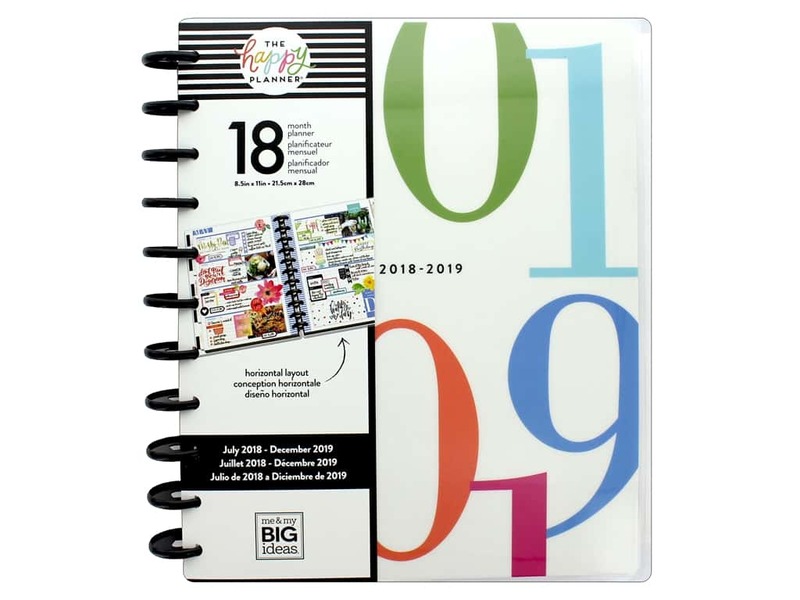 Happy Planner Big 18 Month Colorblock #s- 18 month planner starting with July of 2018 and going through December 2019. Includes monthly and weekly calendar pages, dividers and space for creative planning and scheduling. Cover is white with color number of 2018-2019. Planner measures approximately 10.13 in. x 11.5 in.